Unlike IE8, in IE9, if you type an intranet site name in the address bar without http, IE9 will redirect you to the bing search page with the site name as keyword. IE9 also recognize you might want to go to an intranet so there is prompt pop up ask if you want to go to internal site. This means one more click for many users. You can enforce IE 9 to go to intranet site directly for single word entry by following these steps. IE9 Uninstalling is done via Windows Update control panel. 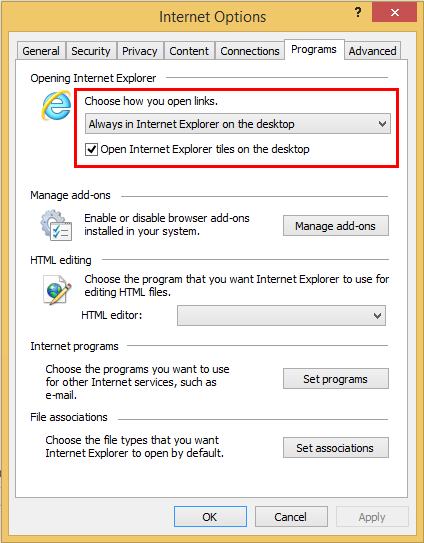 Select the view installed updates and then uninstall IE9 via the context menu. If you want to uninstall IE9 just because of degraded performance when viewing websites, you can try to turn off GPU rendering which might workaround the performance issue. Under Accelerated graphics, check the Use software rendering instead of GPU rendering checkbox. Stable channel. Everyone is on the Stable channel when they first install Google Chrome. The Stable channel is updated with features and fixes once they have been thoroughly tested in the Beta channel. If you want a rock solid browser but don’t need the latest features, the Stable channel is for you. Beta channel. People who like to use and help refine the latest features subscribe to the Beta channel. Every month or so, we promote stable and complete features from the Dev channel to the Beta channel. The Beta channel is more stable than Dev, but may lack the polish one expects from a finished product. If you’re writing extensions, you need to use this channel or the Dev channel. Dev channel. This developer preview channel is where ideas get tested (and sometimes fail). The Dev channel can be very unstable at times, and new features usually require some manual configuration to be enabled. Still, simply using Dev channel releases is an easy (practically zero-effort) way for anyone to help improve Google Chrome.